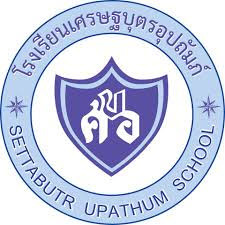 We are a medium-sized private primary school, with a kindergarten section, hidden among an oasis of trees in the midst of a highly residential North-Eastern area of Bangkok called Lat Phrao, with the nearest MRT station, Lat Phrao, 3 km away from the school. Our team needs expanding so are now recruiting for multiple EFL Primary and Kindergarten teachers to join our young team for the 2019/2020 Academic year!!! Team members will be required to have a significant role in planning and resourcing effective and varied lessons and activities, with continued support from the department leader, a qualiﬁed (QTS, PGCert) teacher from the UK. All team members are expected to deliver these lessons in an engaging, and exciting way that will maintain the attention of our classes (between 25 and 35 children are in each class). - Passport holders from the UK, Ireland, New Zealand, Australia, Canada, or USA. - Passport holders from South Africa or ﬂuent English speakers from elsewhere need a minimum TOEIC score of 945 (or an equivalent of C1 on the CEFR level) to be considered as a native speaker. - A Completed Bachelor’s degree from an accredited university with an oﬃcial transcript. CELTA, TEFL or TESOL certiﬁcate is not essential but passion, willingness to learn and some grit are. - At least 2 years teaching experience. Knowledge of teaching Phonics will be an advantage but not essential. - Must be available to start April/May 2019. A later start maybe negotiable. A teacher (of any nationality) with a TOEIC score (or equivalent) of 945 or above may be considered as a ‘native speaker’ if they have evidence of their recent score, a neutral accent and an excellent command of the English language during their class demo and interview. - “Near-native” English speakers from other countries need a minimum TOEIC score of 785 (or an equivalent of B2 on the CEFR level). - Either start from 42,000 or 29,000 THB per month (base salary + housing allowance). - A maximum 5,000 THB per month salary increase after a 4-month probation, depending on candidate’s teaching qualiﬁcation. - One-year contract (renewable annually after appraisal). - Yearly incremental housing allowance. - Comprehensive private medical insurance that includes OPD entitlements. - Approximately 10 weeks paid holiday with all Thai National Holidays fully observed with guaranteed Christmas Period oﬀ. - Visas and work permit fully assisted and paid for. - Air-conditioned classrooms and staﬀ room with WiFi. - Free home-cook Thai lunch during the week. - Assistance in ﬁnding suitable accommodation near the school. - Competitive performance related pay increase after annual appraisal. - Ongoing internal and external professional development opportunities. Please check that your application ﬁlls all the stated requirement above before submitting the following documents to Mr. Nathan Rose at stbu.jobs@gmail.com, as incomplete applications will not be considered. 1) Up-to-date CV/Resume with complete work history (including current employment). 2) A personalized covering letter stating why you are suitable for this position and your immigration status. 3) Clear copies of other supporting academic documents such as your Bachelor’s Degree, Transcript and latest TOEIC score, if applicable. 4) A copy of your current passport data page (this is necessary so we can check your eligibility for a Thai teaching license). 5) A short video recording introducing yourself. 6) Two unique references must be available upon request. - Local and international criminal record checks/ police clearance will be carried out on all successful candidates. - Agreed salary may vary from advertised rate, depending on candidate’s qualiﬁcation and classroom experience, subject to negotiation during the interview. - Only shortlisted candidates will be notiﬁed for a class demo and interview during February - April 2019.